With the change in season, it's time to get the duster out and freshen up your home. We've got the tips and tools to make the process a breeze. Cleanse your home and your mind by sorting through your cupboards and drawers (including that dreaded junk drawer!) This not only serves as a de-stressing task but also gives you the opportunity to throw out or donate those bits and pieces you no longer use. Before you start cleaning your home, write a checklist to prepare for and keep on top of your tasks as you go. Plus, it's so satisfying to cross something off your list! Having the right supplies can make an arduous task a breeze! And this is where we can help. From beautiful cleaning products to the tools you need, Minimax has you covered. 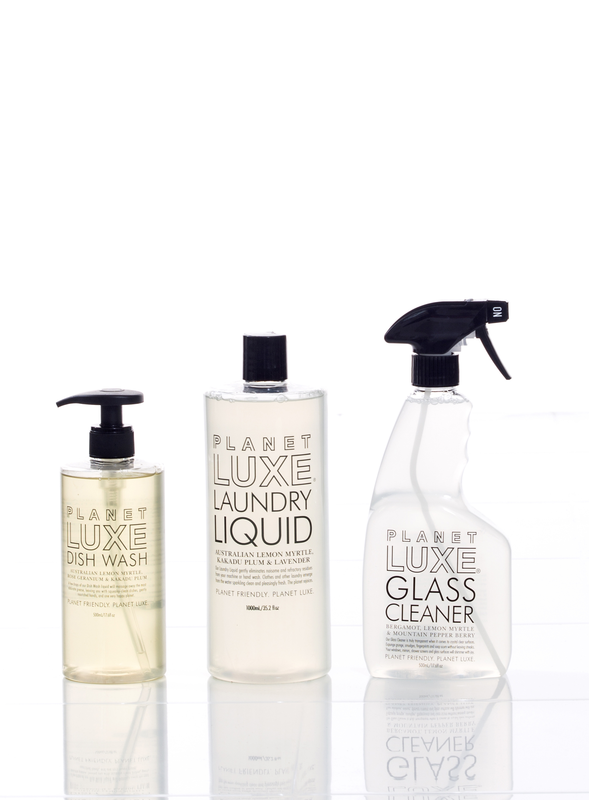 Planet Luxe makes luxurious, well-designed products that are safe for the planet and its inhabitants, so we can all live healthier, more sustainable lifestyles and also be surrounded by beautiful things. Free from toxins, the formulations are botanical blends of organic herbs, plant extracts and pure essential oils, readily 100% biodegradable and grey-water safe. of hot water and mop on. Leave floor to dry, no rinsing required. Suits all hard floors. and wipe with a clean, dry cloth for a glittering shine. This is a very gentle cleaner so it won't do the job on heavily soiled items but it's perfect for everyday washing. A few drops will massage away the most obdurate grease, leaving you with squeaky-clean dishes and gently nourished hands. Squirt onto your toilet brush. Scrub under the rim and around the bowl. Clean your toilet regularly for best results. Spray onto surface then wipe with a clean, dry cloth for an incandescent clean without any nasty fumes. Lucano incorporate good design elements into a utilitarian object. 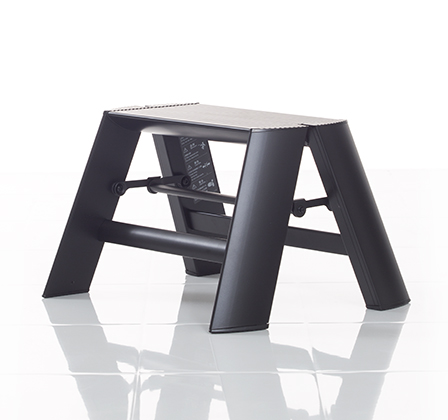 Employing matched triangular elements, the stepstool is light, strong and sturdy while maintaining a slim attractive visual profile. Famous around the world for their quality design, functionality and use of sustainable wood and natural fibres, Redecker has been crafting wonderful artisan brushware since 1935. Make light work of cleaning with this duster made of sustainably sourced ostrich feathers. Especially light, the duster is ideal for cleaning delicate objects and small items. With unique antistatic properties this duster is great for hard to reach cleaning. The soft goat hair bristles are specially suited for sensitive smooth services. Redecker's natural bristle dishwashing brush is a great all round washing-up tool. Each brush features an untreated beechwood handle and a natural bristle head for effective cleaning of your pots, pans and dishes. Redecker's double layered Laptop Brush has one row of goat hair and one row of horse hair. The antistatic properties are ideal for removing dust while the row of coarser horse hair removes stubbornly entrenched crumbs. Fine copper threads gently remove persistent burned on cooking grime. The copper fibre also has the added benefit of polishing sinks, pans, ovens, ceramic cook tops, glass and stainless steel basins as it cleans.